If you like cars, you should be able to spend some of the long Independence Day weekend doing something fun around the Kansas City area. Police car owners will be converging in town for a national get-together and car show this weekend. There are several car shows and parades that you can check out. And there will be several race tracks in the area that will feature a fireworks show in addition to the on-track action. There are a few indoor activities as well. The July stop for the NASCAR circus at Daytona is always one of the best of the year, and you can see Camaros and other GM vehicles save the world when Transformers: Dark of the Moon opens this week. Here’s the complete list of Kansas City car shows, cruises, and events for this weekend. And as usual, call ahead if rain (or even worse, flooding) may be an issue. Sure, we cover a bunch of different car shows. But the Art of the Car Concours at the Kansas City Art Institute is different. Very different. This is a "by invitation only" affair, where some of the most exclusive cars in the country assemble here in town for a once-a-year, once-in-a-lifetime chance to get close to things that you may only see in pictures. Yes, it is strange that my '63 Chevy pickup with no paint on the hood didn't receive an invitation. Perhaps it was just an oversight. I'll try and get that rectified for next year, so the people can admire its beauty. 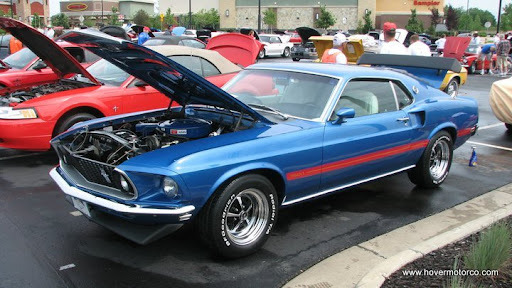 This weekend marked the 26th year of the Mustang Club of Greater Kansas City's All Ford Show, and as is the tradition at this event, there was a lot packed with shiny 'Stangs (and the occasional random other kind of Ford). This year, the two-day event was held in the Bass Pro Shops parking lot in Olathe. Part of the proceeds went to the Wounded Warrior project. You have to give Mecum Auctions some credit. It seems like no matter where they go, they manage to come up with some really great collection to run through their block. Whether it was Bob McDorman’s Bill Mitchell Corvettes, the 1953 GM dream cars, or just their visit to Kansas City, Mecum is definitely pulling in some cool stuff. This weekend’s Bloomington Gold Corvette sale is no exception. I’ve always said that a black Corvette with red guts would be my dream combination. 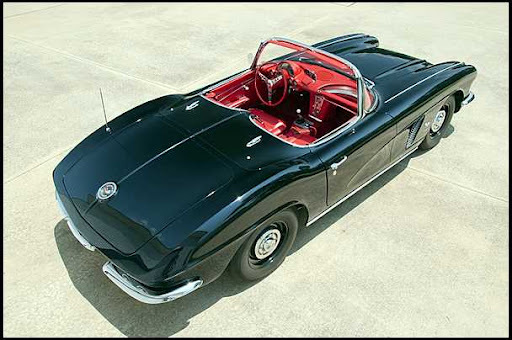 And on Saturday, Mecum will be offering a black Corvette from every year from 1954 (the first year you could get something other than white) through 1969; many with my coveted red interior, and all of them spectacular. Never mind that I just this year I drove the new Focus and F-150, posted about the all-Ford show in Olathe, did a history of Carroll Shelby, and lamented the passing of the Crown Victoria; I never write anything about Fords. 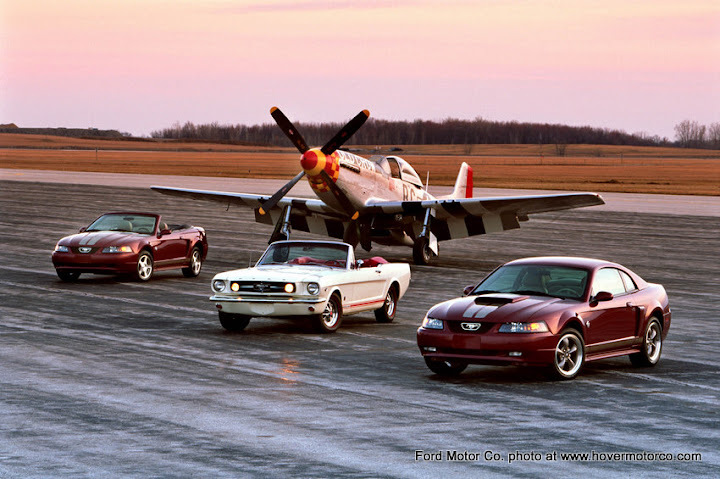 Well here it is, brother, the story you’ve been waiting for—the history of the Ford Mustang. Highland Ranch Car Show described as "the most eclectic bunch of cars I've ever seen"
While it is true that we are a Kansas City-based blog, I am not above posting about something interesting that happens in another city. 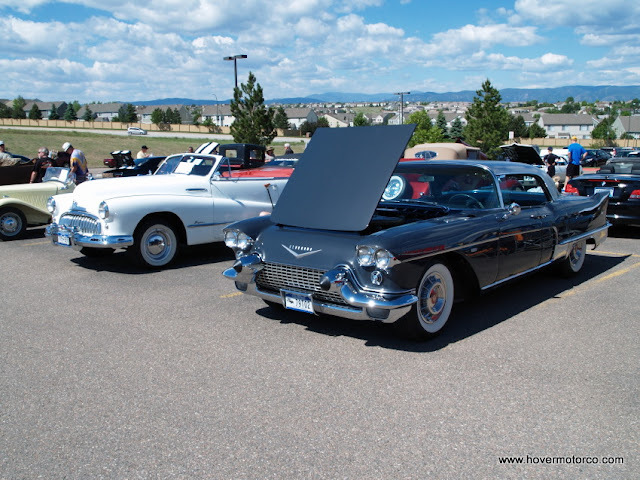 And the annual Highlands Ranch Car Show near Denver, Colo., certainly qualifies as interesting. One of our good family friends, Patrick Casey, was there to check out the unique and unusual cars and trucks on display in the huge Cherry Hills Community Church parking lot. Pat called it, “the most eclectic bunch of cars I’ve ever seen,” and the pictures tend to support that claim. Normally, we just go along and take the old car hobby for granted. But not everyone knows the secret. That’s why it’s nice when our world is opened up to folks that might not normally recognize us. 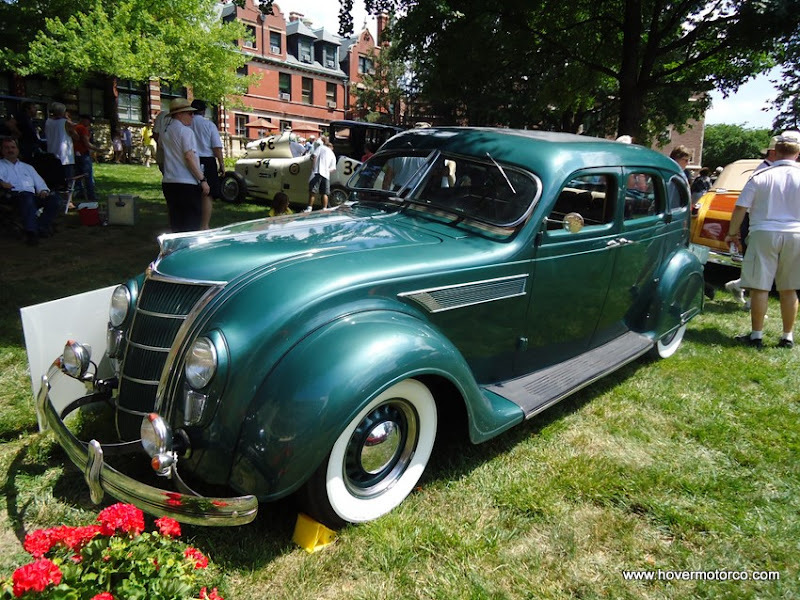 This weekend, the Kansas City Art Institute will hold the Art of the Car Concours. This is a great show, with several high-end Classics that you are not likely to see at the local cruise night. This is one of those can’t-miss type events. But, if normal cruising is more your speed, there are some good ones in Belton, Gladstone, Overland Park, Liberty, and more. The usual assortment of car racing is also in play. Lakeside Speedway was closed last week, but God willin' and the creek don’t rise (literally), they’re back in business this Friday. Check out the full calendar of events below. And you know, call ahead if weather looks like an issue. But don't worry. If it does rain, you can watch some NASCAR road course action on TV, or the animated movie Pixar Cars 2 opens in theatres. You know what's strange is that there isn't a car show around here at any given time of the day. For example, say you were home watching your kid on a Friday morning, and you wanted to go to a car show. So you check out the weekly calendar on HMC, and guess what--no car show is scheduled for that time. So now what? Well, if you were like me, you find someplace that has some old cars you can look at. This time it was the KC Classic Auto Display in Lenexa, Kan. The KCI Cruise Night is a cruise night in name only. It isn't like the typical monthly city cruise where you see the same 50 cars that live within ten miles of the parking lot. No, this one is different. It only happens once or twice a year, and people come from all over the Kansas City area. So when we went there on Saturday night, it was no surprise that the massive WireCo parking lot near Kansas City International Airport was packed with hot rods, customs, trucks, and muscle cars. There might not be any awards at this event, but this is an all-out car show. Back in the Old West, Marshall Dillon spent a lot of time running the killers and the spoilers out of the famous Longbranch Saloon in Dodge City. Many a gunfight, fistfight, knife fight, or whatever other kind of fight took place on those rickety, whiskey-soaked wooden floors. It was a rough place to be sure. But on Friday nights in Overland Park, the Longbranch is a little less volatile. The outlaws and murderers have been replaced with Oldsmobiles and Mercurys, and the batle of the best gunmen have been replaced with the battle of the best wax jobs. For at this Longbranch Saloon, it's all about the car cruise. One word to describe the June "2nd Saturdays" North Kansas City Cruise: NICE! I manage to find something to complain about for lots of these car show stories. It's too hot. It's too cold. The people running things got on my nerves. Whatever. I can never be completely satisfied. But Saturday night, the North Kansas City cruise night had something that is all too rare: perfect weather. I mean seriously, it had to be like, what--75-degrees? We parked under a shade tree. The sun was out. That is the stuff I'm talkin' about. If you’re a dad, or if you have a dad, make this a perfect Fathers Day weekend by hitting one of the many car shows, car cruises, or car races. There are lots of great events within a short drive of the Kansas City area that will be a hit with any dad. For example, the KCI Cruise Night at the old Farmland Building near the airport is one of the best of the year. Johnny Ray’s in Lee’s Summit holds a mean cruise night every month, plus they serve up a mean burger. If you want to drive a little ways out of town to see some oddball-type cars, there is a National Studebaker meet starting in Branson this weekend, or a National Volvo meet in Lindsborg. Is racing more your thing? Yeah, we’ve got that, too. Now, Lakeside Speedway is closed this week because it is on the flood plain, but there are still races in Grain Valley, Topeka, and all points north, south, east, and west. As usual, be sure to call ahead, especially if the weather looks iffy. And happy Fathers Day to all the dads out there! Everybody is talking about how the Missouri river is about to come out of its banks and flood everything in its path, but there is a significant potential casualty that isn't getting much attention. Lakeside Speedway is a Kansas City institution. And next week, that institution will be silent. Kansas City, Kan., emergency management officials told the owner of the track to prepare for the worst, so the upcoming races have been cancelled to give the track a chance to move their equipment to higher ground. 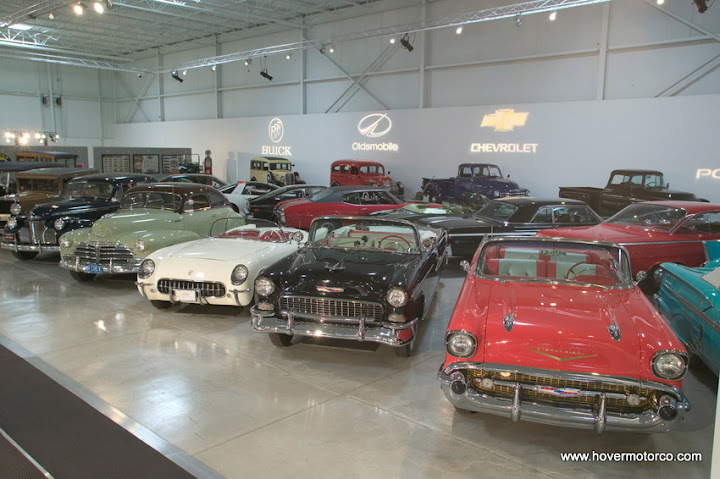 If you want to see one of the absolute greatest car collections in the world, you need to put a visit to the GM Heritage Collection in Sterling Heights, Mich. on your bucket list. I was lucky enough to attend a three-day meeting at the Heritage Center a few years ago, and the significant vehicles on display there were nothing short of awesome. This was a living history of General Motors. There were first and last cars built for some models. There were popular vehicles like the ’63 Corvette coupe and the ’59 Eldorado, and there were beautifully restored dream and concept cars dating from the1938 Y-Job all the way to the present. The summer car show season is heating up. And by heating up, I mean it is hot out. Really hot. An evening cruise or car race is a great way to cool off from the heat of the day. But a daytime car show isn’t too bad, either, because those paintjobs look dazzling in the sunlight. We’ve got cruises in North Kansas City, Overland Park, and Riverside, car shows from Branson to Westmoreland, and racing from Nevada to Topeka. If you can’t find a fun car thing to do, you aren’t looking every hard. As usual, call ahead if weather looks like an issue, break out the sunscreen and bottled water, and go do some car stuff this weekend. The complete list is right here, just for you. Heartland Model Car Nationals. I won't be entering any time soon. Every once in awhile, I like to work on a model car. And when I'm done, I usually think they look OK. But then I go to something like the Heartland Model Car Nationals, and I realize that my modeling talents have a long way to go. Hosted by the KC Slammers modeling club, 2011 marks the 20th year for this model show and swap meet. The most talented model builders from the area, as well as some of the more prominent model car dealers from the Midwest, packed the Overland Park Convention Center for some small scale fun. I used to really love race cars. I loved the way they sounded. I loved the way they smelled. I loved the way their bright paint schemes gleamed in the sun. I just loved watching them. And then somewhere along the way, I kind of lost track of what I actually loved about them. Once I quit working at the local race tracks, had a son, and found other things to occupy my time, I stopped going to the races nearly as often. Summer vacation has begun for BHo, but when mom's not feeling well, that can be a problem. Still, that very issue gave me a chance on Wednesday to entertain the seven-year-old dynamo while mom went to the doctor took it easy. As far as I'm concerned, it beats hanging out in a cubicle any day. One of our stops was Vintage Vettes, L.L.C. in North Kansas City. I love that place; I really do. It looks like my garage in that fantasy where I win the lottery.